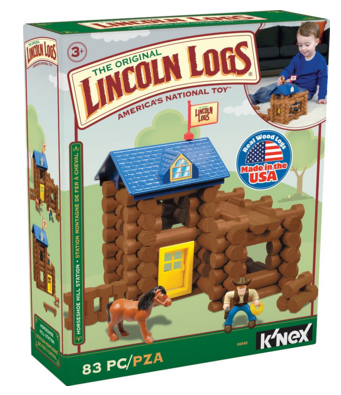 Lincoln Logs Horseshoe Hill Station Toy Just $14.99 Down From $29.99! You are here: Home / Great Deals / Amazon Deals / Lincoln Logs Horseshoe Hill Station Toy Just $14.99 Down From $29.99! Christmas is just around the corner and here’s another great gift idea! Lincoln Logs Horseshoe Hill Station Toy just $14.99 down from $29.99 on Amazon! Get yours now before the price is gone! Saddle up at Lincoln Logs Horseshoe Hill Station and get ready to ride off onto a dusty trail!